Multi-Functioning Tool comes with knives, opener, cork screw, spoon and chain. Sounds pretty handy to us! Keep it in your purse, car, camping gear or hiking gear. 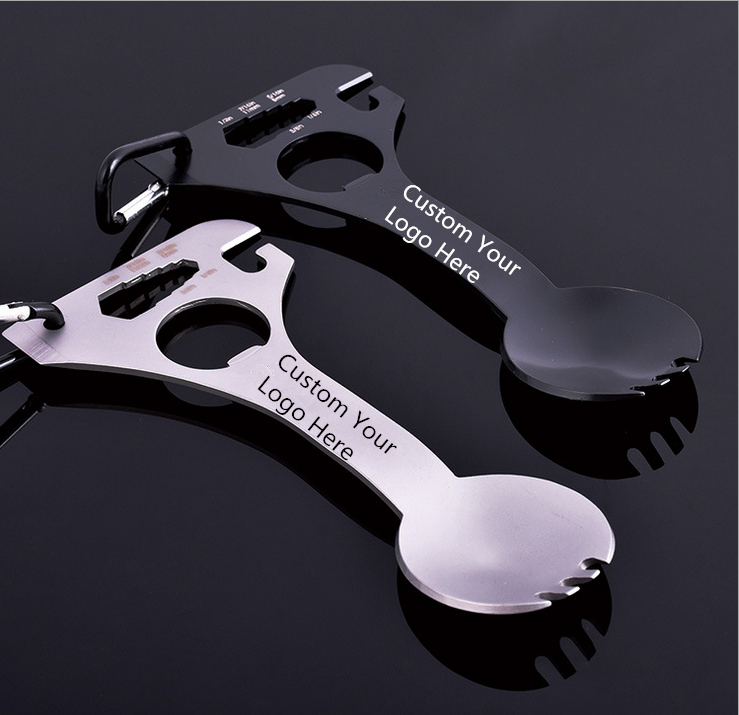 Made of Stainless Steel and great for add your logo. Size : 6 1/8" x 2 3/4"
Imprint Size : 3/4" x 2"